Why Choose Marketing by Kevin? Are you an expert in your industry and need the world to know? My name is Kevin Mahoney; I started this website and business to do exactly that. My expertise is search engine optimization, SEO for short. I’m a firm believer in staying in your professional lane. Like just mentioned, my professional lane or personal skillset is SEO with the goal to utilize my internet marketing expertise and practices to be combined with your specific business expertise — the same skillset and passion that led you to start your business. Choosing your SEO partner is challenging. For this reason, my approach is to lead with our real-time company website rankings, which most likely organically lead you to our website, which expresses direct proof that we understand how to rank for the right terms to bring in our specific clientele. If we can outrank all the other SEO Experts in Chicago, imagine what we can do for you. As an SEO expert from Chicago, it makes sense for our first targeted keywords to be terms like “Chicago SEO Expert,” which is commonly referred to as ranking. In the graphic above you will notice the ranking in both the map pack and in the organic search. More on keywords and targeted keywords in the next paragraph. I completely understand and appreciate that many business owners honestly don’t have the time to learn the ins and outs of digital marketing and SEO. Before mentioning our SEO consulting services or even any of the ala cart SEO services we have available, my goal is to demonstrate that my team and I have the experience and expertise that’s required to succeed online with a dominant and robust web presence. The best way to do so is by first showing our own website results. So please, you will see this repeated throughout our site, but please challenge our results and check them yourself. Do you want your business to appear online for similar terms but that are relevant to your industry, which means are the precise search terms your target clients search when looking for you? To even further prove my point, did you just search online looking for help to improve your business’s online presence, digital marketing, or marketing of some type that led you to find our site? Since you’re reading this now, I’m going on a limb and say most likely yes. I assume this because we use the exact strategy we explain and recommend for our own marketing and target market our best customer, which are business owners, bloggers, and entrepreneurs just like you who are great at the specific niche that inspired you to start your business, to begin with, but would like assistance or guidance with marketing. When working directly with Marketing by Kevin for SEO consulting, we perform a complete and custom site audit (including a website foundation audit for maximum long term rankings). Once that is complete we move directly to keyword research to identify your quickest wins or quickest terms that will produce the fastest return, including a content GAP analysis to create your custom content strategy. The most popular SEO service we offer is called “Managed SEO Services”. Managed SEO Services is our completely hands-off service that puts your SEO marketing on autopilot by putting to work our full team of SEO experts. When you order any type of managed SEO service, immediately after you place your order we will schedule our kick off strategy call that is the exact same process as our consulting hour. The only difference is when we hang up you will not have to take your new plan and execute it. You will have the confidence and excitement knowing that a true team of SEO experts are all over it and will be reporting back to you every month with exact updates on our progress. Keywords are the search terms that people, potential customers or clients, also referred to as searchers type into Google and other search engines when they’re looking for the services and products that your company offers. Understanding your businesses target keywords is essential for your business growth in the digital age. Regardless if you work with an SEO Consultant or Marketing Expert, I can’t stress and recommend more to ALL business owners to learn the basics around keyword research for your business. I stress learning this because as a business owner, once you have these tools at your fingertips, you can use real-time data to find actual customers looking for products you offer and directly market to them. This lowers your risk significantly and allows you to expand organically much faster. The keyword research tool I use on a daily basis is SEMRush. I’m offering a FREE 1-hour consultation for FREE Keyword Research Training one on one with anyone who purchases a membership with SEMRush with my join link. Full disclosure, I am an affiliate with SEMRush and will receive a commission when you join, which is how I am able to not charge you for that free hour of training. I offer this deal and promote SEMRush so boldly only because it is a tool I rely on daily to get the results I get. The other tools in my review absolutely have great capabilities, however, I personally am not as versed in the others as I am with SEMRush and my goal is to show you my exact process with the tools I use to set you up for success. I like to compare the internet and SEO as online real estate. Let’s use traditional real estate in this example to explain the point. To start a retail business, you need a location on a piece of property or land by either renting or buying that land or property. When you create a website, websites have files of your content, images, products, etc. that need to be stored on servers that keep your website running on the internet, which is known as a website host or hosting company. The hosting company I recommend hands down is WP Engine. To rank well in the search engines its imperative that your hosting provider is a resource and not working against you. 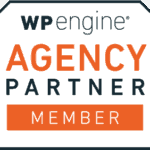 By no means am I saying WP Engine is the best hosting service online, however, they are the best for me in the sense that I’ve never needed to look elsewhere since finding them. Because of that, I recommend WP Engine as early as possible to as many WordPress website owners and administrators that are interested in improving their search rankings. Recently in 2018, WP Engine purchased StudioPress, a popular WordPress Theme company. Having StudioPress and WPEngine under one umbrella makes life even better in my opinion because it only increases the overall websites security, speed, and overall functionality. Be sure to take a look at our comprehensive StudioPress Review. Your website structure is the foundation or layout of your site. Having your website structure or foundation proper enables your searchers to find the information they are seeking in the most seamless and quickest way. Preferably so they don’t even need to look for it but simply find what they are searching for. It’s also important to have your website organized so the search engines find your website and all your important information so they can properly put it in front of your audience. Does your business have one or more location(s) and/or service customers at your location or onsite? If so, do you have your Google My Business account set up and verified with Google? If the answer is no, don’t worry, you’re not alone. It’s extremely common for business owners to not even be familiar with Google My Business, which is completely understandable. If your expertise was digital marketing, you wouldn’t be reading our website, so don’t stress, it’s not complicated at all to get set up and verified. But do know, having your Google My Business account established and verified is paramount. Our Local SEO Expert writers put together a Google My Business set up guide that takes you step-by-step through the process of setting up your business account, and how to become verified with Google. This puts your business on Google Maps, Businesses Near Me, Local 3 Packs, and so many other places in Google. In short, it communicates directly to Google and lets them know your business exists and should be put in front of your target customer base. What is Marketing by Kevin? Marketing by Kevin is based outside of Chicago, IL and is an online marketing agency and digital training resource for local and national businesses of all sizes, including solopeneurs and startups around the world. Our purpose is to assist entrepreneurs and businesses with identifying their core customer, highlighting critical information that core customers are seeking, and expediting delivery of key information organically with the use of Digital Marketing thereby improving customer experiences with the company. It’s possible you will find SEO agencies that claim to have personal relationships with Google or proprietary methods that nobody else has, and I’m sure they’ll say anything else they can think of to get your business. Ethics and good business practice come first at Marketing by Kevin. If it’s not something we use ourselves, we simply will not recommend or apply it elsewhere. We are not implying we have a proprietary method of ranking you first on the search engines. We do not have a direct and favorable relationship with Google or any other search engines. You can find similar information supporting this directly from Googles Search Engine Optimization Start Guide. What we are saying is we have identified a very specific SEO process online that works incredibly well when followed properly. Not only do we have great success in helping our clients reach their search engine ranking goals, but we also help identify pockets of information that their best and most profitable customers are searching. By first identifying the most pressing questions the business’s core customer base is seeking, and providing them the answers they need, this aids them in their buying decisions and positions you as the expert in the industry, which is the ultimate goal. This way you can work to answer as many questions ahead of time before even speaking to potential customers, and by the time you do actually speak to them, they will be far more informed and ready to buy. A good rule of thought to remember is people love to buy but hate to be sold to. By giving them as much info upfront on your website that explains everything needed to buy your product and service, this makes them a far more informed customer who is ready to buy when you speak to them. And if the information shows them your product is not for them, then it wasn’t meant to be the entire time, so it’s best for everyone to identify that as early as possible. Whether you have a blog or a business website that you want to energize, it’s likely you’ve either had a small amount or the wrong kind of(improper) SEO optimization done, which could be causing the opposite effects that you are striving for. Because of this, step 1 of our SEO process is a full website audit and penalty check. Please note, this process is meant to be stress-free. Our SEO process, which will be explained in detail below, is executed completely by our team of SEO experts in their respective expert areas, which is referred to as “managed SEO“. We aim to explain as many details possible about our process in advance to starting to set appropriate spending and ROI expectations, including the expected time-frame of your ROI, which vary between the competitiveness of each industry. However, as long as the necessary steps above are completed before starting a campaign, our SEO process is very hands off. We created it this way purposely, so you can focus on what you’re best at and let us highlight exactly how awesome you and your company are to your customer base. With the number of consultants online claiming to be SEO Experts, it can make your head spin and truly makes this decision even harder for business owners. Because of this, there is no other way to say it than we consistently see bad work done on websites. It’s possible because of one or multiple of these reasons, your website has the potential of being penalized over the years which has significantly hindered your website traffic. It’s ok, you’re not alone and it can be fixed! Identifying what is causing the bottleneck is step 1, which is why we audit your site. Here is our FREE SEO Audit Tool. This audit tool will give you an instant look at where your website can use improvements, a nice overview. Once we’re certain you are clear from all things that can keep you from ranking in the search engines, we then move into the research phase of your project. Depending on your website will ultimately depend on the immediate approach, but ideally, our goal is to identify the most attainable keyword rankings for your website in the shortest amount of time. Often websites will have keywords with lower search volume ranking on page 2 or 3 of Google but go unnoticed because they still do not generate traffic to the website. Our SEO Expert team excels at identifying these terms and formulating a plan to push these terms up to page 1 first. By taking your lower volume keywords and pushing them to page 1, it begins to establish a targeted and consistent traffic flow to your website, which is what the search engines LOVE! Ranking low search volume keywords are definitely not exciting, but it creates a snowball effect that drastically helps your longterm SEO efforts when ranking for more competitive high volume keywords. I like to use the analogy of a solid foundation for a building or skyscraper when creating a website. If your foundation on any type of structure is not sound, it simply will not stand for long. This is the same for websites. Consider your low volume keywords the foundation of your SEO plan. During the research phase, we run an analysis called Content GAP Analysis. Content GAP Analysis is a report comparing your website against your top competitors, the keywords, and pages they have rankings for that your site is not targeting yet. This report and the keywords from the report gives immediate insight into what content needs to be created on your website and what questions your customers are asking. Are you telling a complete story from start to finish on your website? Remember the foundation that you are creating, that also starts with your OnPage Optimization. What is OnPage Optimization? OnPage Optimization is the process of telling the search engines and readers exactly what each page is about. This is accomplished by optimizing the specific page with the target keyword to the content, including the title, URL, meta description, images, content, internal links, and more. Take a look at our extensive Local SEO Ranking Guide to understand the importance of OnPage Optimization. Link building is one of the most essential components of SEO, yet also one of the more advanced and likely way to get your website penalized. So please take some time to understand link building first if this is new for you and if you are attempting to build links on your own. When a website links to another website, it essentially is telling the search engines it trusts that site which is why it is linking to it. Also, by linking to it, that means they are sending their traffic to that site as a trusted source in their content. Now lets put this into context. Think about a website that has absolutely no visitors or rankings that links to you. Do you think that will provide much value? Probably not. But let’s say you’re a Psychiatrist, you have a Psychiatry Clinic and a website you’re trying to rank that got a backlink from a trusted website like WebMD.com. Not only is that an authority website, which means it is considered an information resources online by many, but also it is very relevant to your business. That would be the definition of a High-Quality backlink which is what the search engines love. The only reason a quality website and company would link to your website is that you had something of value to offer and they were referencing it. Authority websites simply do not link to random websites because they are friendly. So what does this tell you? Offering helpful value to your customers on your website is the name of the game. Of course. We will be doing live case studies via webinars in the near future. However, I find success stories can be easily falsified. Because of this, our goal is to provide and express our value up front before you ask to hire us for our services to eliminate the worry of if this is a good fit for you. 100% yes. As mentioned above, you will never hear from any of our team members that our methods are proprietary or “black hat”. We analyze what the target customer base is asking for and provide the information they need to aid in their buying decisions. We are here to either assist you in implementing this yourself or our team can manage your SEO campaigns with a “Hands Off” approach. With Marketing by Kevin, there are no contracts, but we ask and suggest to give it 90 days minimum to see substantial results. All Marketing by Kevin Managed SEO Plans to receive a dedicated account representative that is your personal contact. You will receive a monthly report on all work that has been done plus a monthly follow up call with your account rep to explain exactly what has been done and is being done in a transparent and easy to understand manner. You are able to contact your dedicated rep any other time you have questions about your campaign as well. 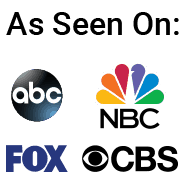 We match our expert writers up to the industry you are in. That is the power of the internet today, we are able to leverage expert minds all over the world from our computers. So in short, yes, we should have your industry covered, but if you believe yours is unique, please shoot us a message and we can make sure. We cringe a little when hearing the term SEO Techniques. We try to look at this in the most simplistic terms possible. Who is the target audience, what information are they requesting, what is currently available, how do we make the best content available to this audience that answers their questions the most accurately? Search Engine Optimization (SEO) helps people find information and products on search engines like Google, Bing, Yahoo, and Ask. An SEO specialist or SEO Expert, then, researches and analyzes the trends and best practices online to determine, develop and implement strategies that improve target search results. A search engine optimization consultant (or SEO consultant) is a job that audits websites and analyzes their incoming backlink profile in order to provide expert guidance and recommendations to business owners seeking to increase their digital footprint with their website.